We will open every day from 12 April to 28 April (Easter / NSW school holidays). 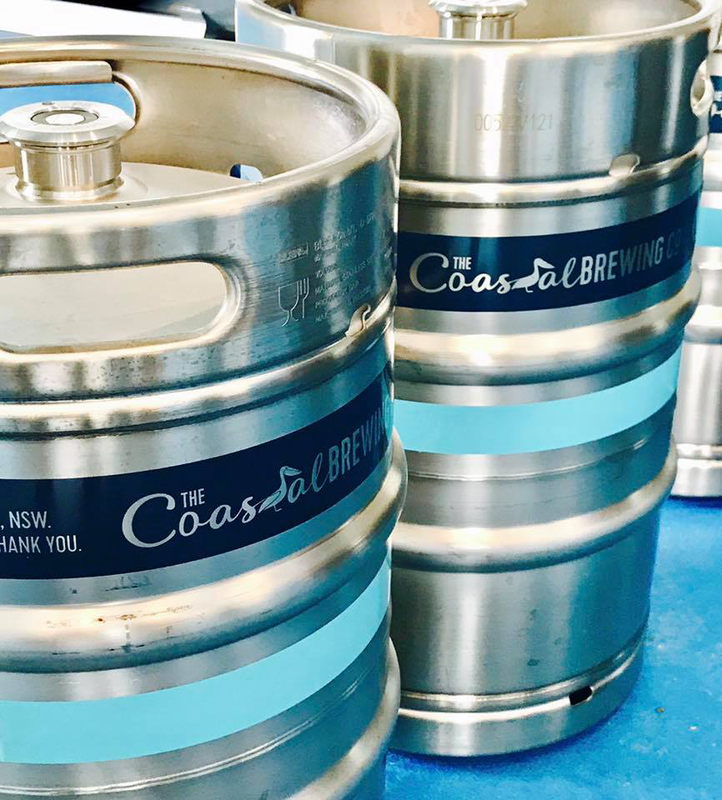 The Coastal Brewing Company is a family-owned microbrewery based in the coastal town of Forster, NSW. Being based in Forster and part of the wonderful Barrington Coast, community is playing a big role in the brewery’s strategy and operations. For The Coastal Brewing Company, it’s all about enjoying L.I.F.E – that’s local, independent, fresh, everytime. Building on its enjoying L.I.F.E focus, all of the Coastal Brewing Company beer names link to the natural beauty of the Barrington Coast area in NSW. Using all natural ingredients on a 1,200 litre brewhouse, the brewery produces fresh, craft beer for sale in kegs to restaurants, bars, clubs and pubs. Beer is also canned onsite and sold through bottlestores, restaurants and bars. The brewery also has a Tasting Room where it offers brewery tours, a beer tasting experience (using 89mL or 200 mL tasting size glasses) and fills ‘growlers’ and ‘squealers’ for take-away consumption. Six packs and cases of 24 cans are also sold from the Tasting Room. For regular updates, you can follow us on Facebook, follow us on Twitter or sign up to our newsletter. Brewed as our first anniversary beer, and launched at our first birthday party (on 9 June 2018), this is an Australian style Pale Ale named after One Mile beach near the brewery in Forster. The Coastal Brewing Company Boomerang Beach Pale Ale was the second beer we brewed. It is an American Style heavily influenced by a large amount of American hops (including Cascade, Centennial, Simcoe and Citra). Named after the multi-award winning (Keep Australia Beautiful Program) Black Head beach which is located midway between Forster and Taree. The lactose (milk) added during the boil makes this a sweeter style stout and with moderate IBU’s and ABV this will appeal to stout and non-stout drinkers alike. Click here to drop us an email and we will get straight back to you with details of pubs, restaurants and bottleshops near you that carry The Coastal Brewing Company beer !! Click on one of the links to follow us via our newsletter, twitter or facebook and to rate us on tripadvisor !